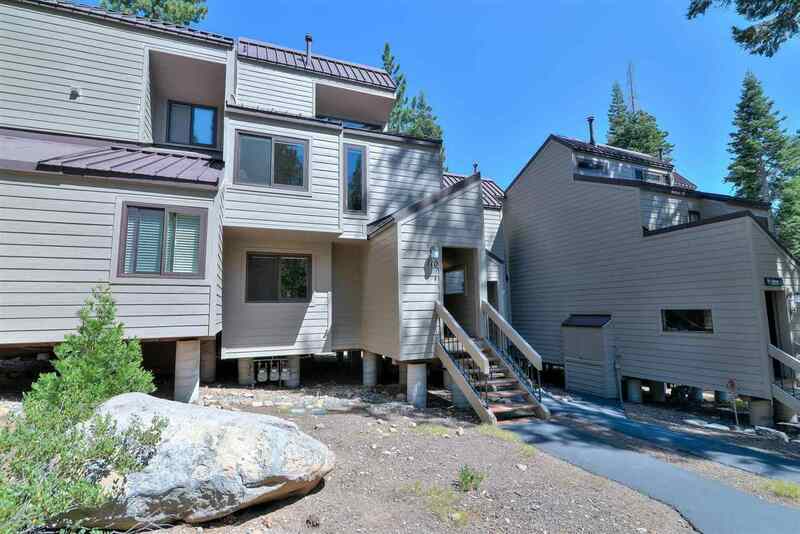 Bright and Cheery unit with 3 bedrooms and a large loft located in the upper section of Carnelian Woods. Great quiet location with national forest and trails out the door. The vaulted ceilings and exposed beams are all painted white. The kitchen has been updated, old fireplace has been replaced with a gas Lopi woodstove and large picture windows. All newer windows throughout. Two decks look onto the forest. Enjoy the large heated pool (summer only), 2 outside spas, 3 tennis courts & huge clubhouse.